With the new year comes new changes, or in this case, new additions! Over the past month and continuing on into the near future, we have added some new products and packages to our lineup. We are excited to share with you what new products we will soon have available! Last year we saw the release of a few new Bud Light Lime-A-Rita flavors, including Pome-Granate-Rita and Peach-A-Rita. This year, AB is ushering in even MORE Rita flavors! In 2018 we will be able to taste Pineapple, Orange, and Grapefruit-flavored Ritas. If you’re wondering where you’ve seen Pineapple-Rita before, you may be thinking of the Pineapple Splash that came out earlier last year. So that’s good news for you, pineapple lovers. 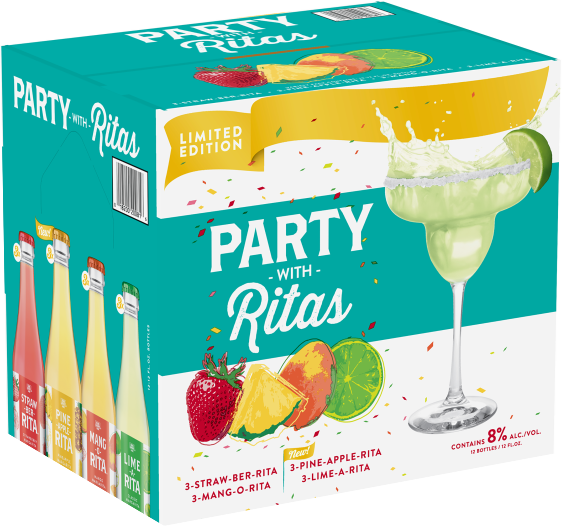 Even better yet, we are adding a new package type to the Rita lineup. Starting this year, Ritas will be available in 12oz cans and glass bottles! 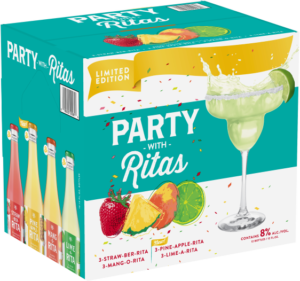 Bottle will be available in 6 packs and a 12-pack Party Pack featuring the Pine-Apple-Rita, Mang-O-Rita, Lime-A-Rita, and Straw-Ber-Rita flavors. 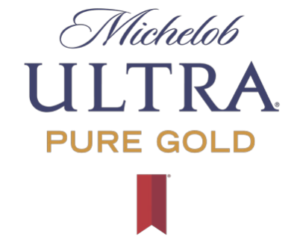 Another new product soon available is an addition to the Michelob Ultra family: Mich Ultra Pure Gold! 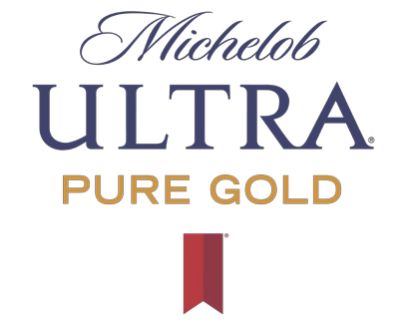 If you’re a calorie counter, you’ll love this because Pure Gold has even FEWER calories than regular Mich Ultra. With a clean, balanced finish, Pure Gold is brewed with organic rice and barley malt, elevating the quality of the beer while delivering a superior taste like nothing else in the market. Pure Gold is a superior choice to compliment a balanced, active lifestyle. You’ve had the best damn root beer ever, you’ve tried the more wonderful best damn cream soda in existence, and you’ve tasted the best damn sweet tea of your life. Now get ready for Best Damn Peach Tea! This new hard tea is coming this year and you’re going to want to be ready for it. Another new product this year is pretty much a trip to the beach. 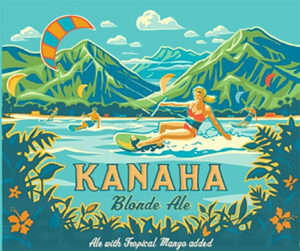 Kona has released a new blond ale called Kanaha. With hints of mango, this tropical drink will make you feel like you’re in Hawaii. For optimal taste, please drink this actually ON an island, and let us know how much it improves, if that’s even possible. One of the final products we are introducing for 2018 is a new flavor from Teavana: Strawberry Apple Green Tea. Soon to be available nationwide, AB first teamed up with Starbucks in 2017. If you have never tried any of these products, make sure you’re one of the first to do so! We are extremely excited to welcome the new year with so many wonderful products. These aren’t the only items we are adding this year, either! 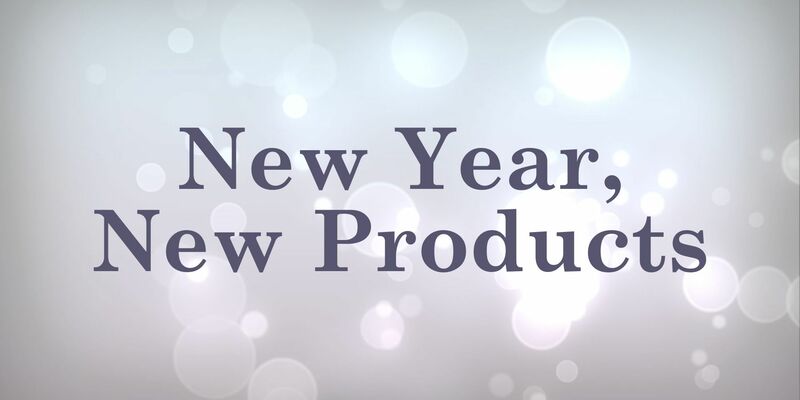 Keep your eyes peeled for even MORE new products that are sure to make your year a great one!